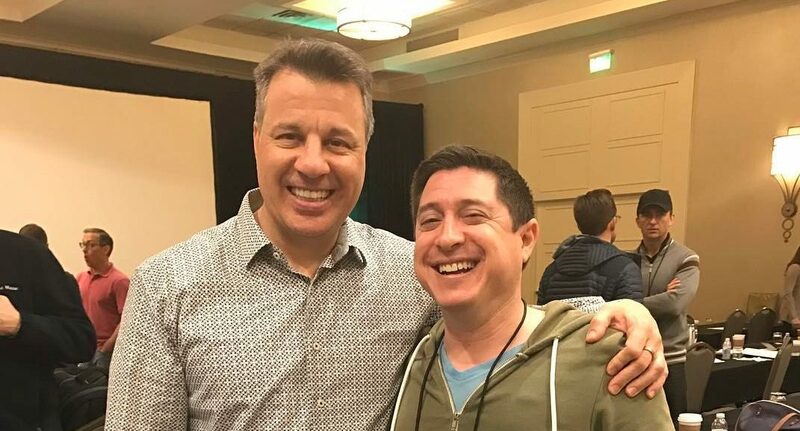 Our coaching is your blueprint to exponential business growth and success. Business leaders, business executives, entrepreneurs, and employees are overworked, un-aligned, and not performing to capacity. It was designed to bring everyone onto the same page. This proven model will give you the tools and information to run your business more effectively and efficiently. Each month, you will have online access to a new video module. Every module includes an implementation guide to support and secure your mastery of the material and your ability to integrate it. Accountability Groups- We believe that the commitment to being routinely accountable to a group of friends and advisors creates focus, progress and results. Our coaching program will put your into an accountability group with other entrepreneurs from a variety of fields. Typically there is one call a week done via phone or telecommunication. During these calls your group will process the module as a team to work on its applications in your life. Members Only Webinars- Our coaching program includes 2-3 tele-classes a months on the following aspects of life and business. Coaching Calls- Your will have 2- one hour calls a month with Jason that will be prescheduled in advance. During these 24 annual calls the two of you will strategize your values, goals and priorities for all aspects of your life. Your coaching, above and beyond the curriculum and Accountability Group, accelerates your results in the shortest amount of time to help you implement the goals you are desiring. Bootcamps- BFS Bootcamps are held twice a year in February and September in Dallas, Texas. During the bootcamp, you will be immersed into the BFS learning culture and hear success stories of other members who are engaging in the program. This is a great event for families and staff. You will also get to network with other members of the BFS Community who are just as passionate about expanding their life and business as you are. As a BFS coaching client, you will have access to discounted tickets for this weekend long event. If you want simplicity, leverage, revenue and profit growth, and peace of mind- our coaching is what you need. It is designed for you to apply what you’ve learned to your business immediately. If this seems overly simple, it is because it is! These concepts are easy to understand and put into action. Become part of our Community of Learners today! Our Coaching Manifesto …and why we may not be for everyone. We believe that being successful takes courage and sacrifices,but it doesn’t have to be difficult. We take business and personal success very seriously, however we often laugh at ourselves. We believe that in order to grow and prosper, it’s best to not look for quick-fixes or shortcuts. and so we are seeking the hungry and committed few. We believe that a happy family, and solid relationships,go hand-in-hand with a prosperous career and business life. moment you decide to take full responsibility for outcomes, you are being an entrepreneur. Further, we believe that being an entrepreneur, and creating value, is one of the purest forms of self-expression and fulfillment in the world. Our objective is for you to be the best entrepreneur, and business person, that you could possibly be. into their personal life and their business life. and abundance of unnecessary material items, from your business and your personal life. We believe that any business or personal life can be made much more effective by putting Simplicity on the ground. extraordinary results. This is Probability in action. allow things to happen around you that do not require you to do everything yourself. 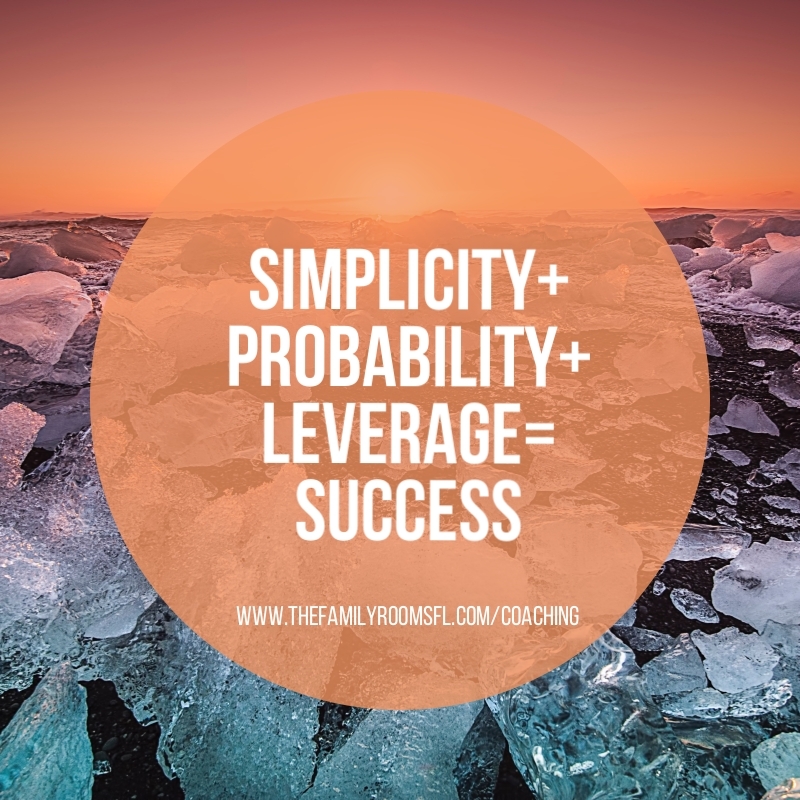 Are you ready to step into a program that has worked for thousands of people and believe that you want to put the operating principles of Simplicity, Probability, and Leverage, into your business and personal life? I invite you to jump in with both feet and with zero excuses. What does the Coaching Curriculum look like?